You are on Opening Times (Main Office). Skip to the next section. You are on Parking (Members only). Skip to the next section. 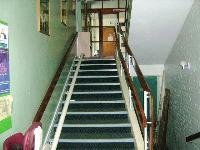 Please contact reception for use of the portable ramp. 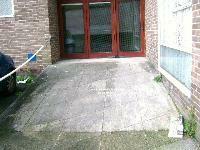 The width of the ramp/slope is 91cm (2ft 12in). The height of the step(s) is/are 19cm. This information is for the entrance located at the side of the venue. 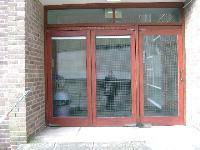 The doors to the accessible entrance are opened from the inside. 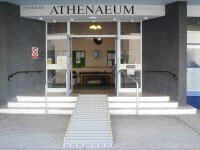 You must let someone know that you need to use the accessible entrance prior to your arrival. 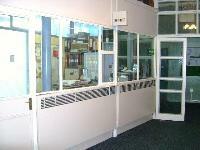 You are on Reception (Main Office). Skip to the next section. 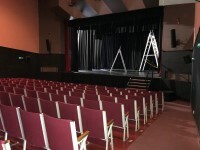 Music is played in the theatre. 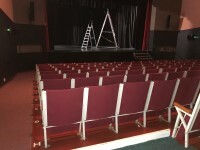 Designated seating is located at the rear of the theatre. 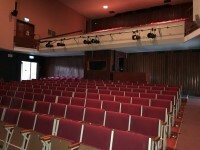 Designated seating with limited views is at the front of the theatre. 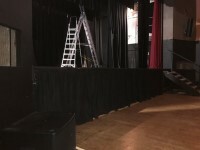 The view is limited by the angle at which you can see the stage. Companions sit on a portable chair next to the patron. 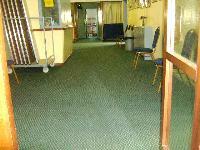 It is 4m (4yd 1ft) from the designated seating area to the nearest accessible toilet. 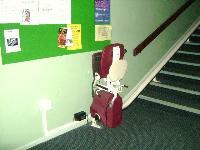 To borrow a wheelchair,ask a member of staff. 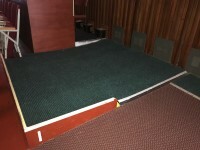 The designated area for wheelchair users at the rear of the venue is 177cm x 193cm. This area is on a slight slope which flattens out towards the front of the square. 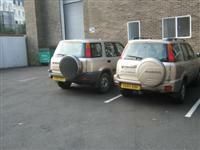 The last 3 photographs show the view from each wheelchair designated viewing area. 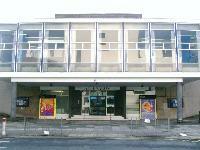 The services on the floors which are not accessible are the theatre balcony. The lift is located to the left after you enter the venue. The lift is 8m (26ft 3in) from main entrance. This accessible toilet is approximately 2m (2yd 7in) from the accessible entrance. This accessible toilet is located to the left after you enter the venue. 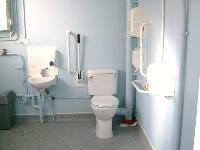 The dimensions of the accessible toilet are 250cm x 270cm (8ft 2in x 8ft 10in). The lateral transfer space is 185cm (6ft 1in). The height of the towel dispenser is 135cm (4ft 5in). The female toilets are located to the right after you enter the venue. The female toilets are 8m (26ft 3in) from the main entrance. The male toilets are located to the left after you enter the venue. 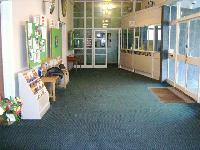 The male toilets are 7m (22ft 12in) from the main entrance. 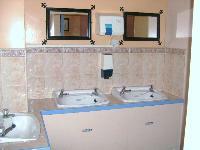 The photograph shows the standard female toilet.